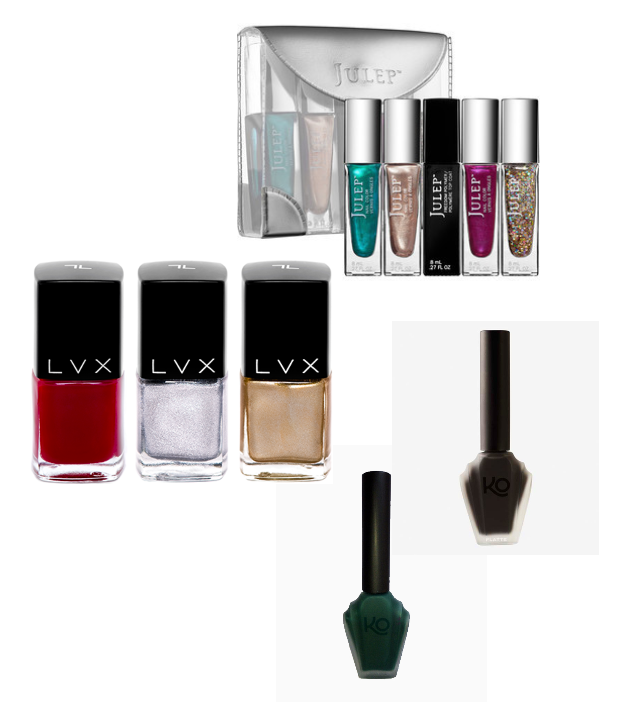 Some of my favorite nail polishes I've been testing out this holiday season include Julep, LVX and Knock Out (aka KO). I was about to pick up the Julep Freedom Polymer Top Coat at Sephora a few days ago when I spotted the Julep Extraordinary Set ($27), which comes with the top coat. It was worth getting the whole set, which includes colors in Holly, Zelda, Rita and Paris. The top coat is amazing - my nails were completely dry and smudge-proof after five minutes and I love the high-gloss, gel-like finish. As you get ready to celebrate the new year, check out the LVX Holiday Trio ($36). This vegan nail lacquer is long-lasting and chip resistant, with a high-shine finish. Now through December 31st, LVX will donate 20% of their proceeds to PETA. Knock Out flatte matte nail polish ($14) has been the easiest polish for me to apply, thanks to the long brush. I've had the least amount of smudges or dents when applying Knock Out and it's very quick to dry too. I can't wait to try the "tuxedo manicure" using Flatte Black and adding shine to the tips.